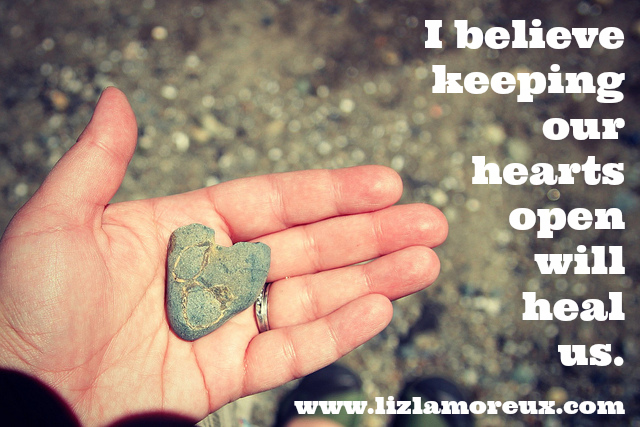 Variations on these words, "keeping our hearts open will heal us," have tapping on me this week. I can't stop thinking about how our hearts crack and mend, and how the mending comes when we let ourselves really live. I've been thinking about this idea so much that I felt moved to make a little video and tell you a story about a poem I wrote about this idea and to share more about why I believe this is true. The poem is from my poetry collection Five Days in April, which you can find in my shop.